Advancing Gartner Through Employee Resource Groups As the world's leading research and advisory firm, we have experienced tremendous growth quarter after quarter. We can directly attribute this growth to the hard work of our associates around the globe. Gartner, the world's leading research and advisory company, is proud to announce that it has been recognized as a Best Place to Work for LGBTQ Equality once again with a top score of 100 percent for 2019. Gartner – Why Work For Us? Gartner is a people business. Fueled by expert analysis, bold ideas and intellectual courage, top talent is key to our success. Looking for a community where you can thrive and make a visible impact? Learn more from Paul Giarratano, Sales Director, who shares about the limitless opportunities Gartner offers associates. Learn more about life at Gartner. Find out why our associates chose Gartner. Are you looking for a career, not just a job? Kick-start your career with Gartner. Search for your next opportunity here. We’re growing and adding new opportunities every day. Explore our open roles to find a position that's right for you. Our sales team partners with clients to help them get the most out of our products and services to drive their long-term success. Learn more about our sales team from our associates. Top talent is why we are the world’s leading research and advisory company. If you’re looking for a great community, a rewarding career and a chance to make a difference, you’ve come to the right place. Join our research and advisory team to develop and deliver the insights, advice and one-on-one guidance that advance clients’ key initiatives and give them a competitive edge. Learn more about our research team from our associates. What makes Gartner a great place to work? Great people. Smart, curious and driven toward success, they thrive on new ideas and collaboration. From planning and marketing to operations and sales, our events team hosts 60+ annual conferences worldwide. Join our events team today and begin to make an impact. Learn more about our events team from our associates. At Gartner, our team strives to do their best for their clients, their team and themselves, setting the stage for future growth. Use your strong people skills to maximize client satisfaction, retention and growth. Learn more about our services team from our associates. Gartner is a people business. Fueled by expert analysis, bold ideas and intellectual courage, top talent is key to our success. Our consultants help clients manage and optimize their investments with compelling, innovative strategies. Learn more about our consulting team from our associates. We have over 15,000 associates in 38 countries around the world and are continuing to grow. Discover more about our offices and the cities our associates call home below. 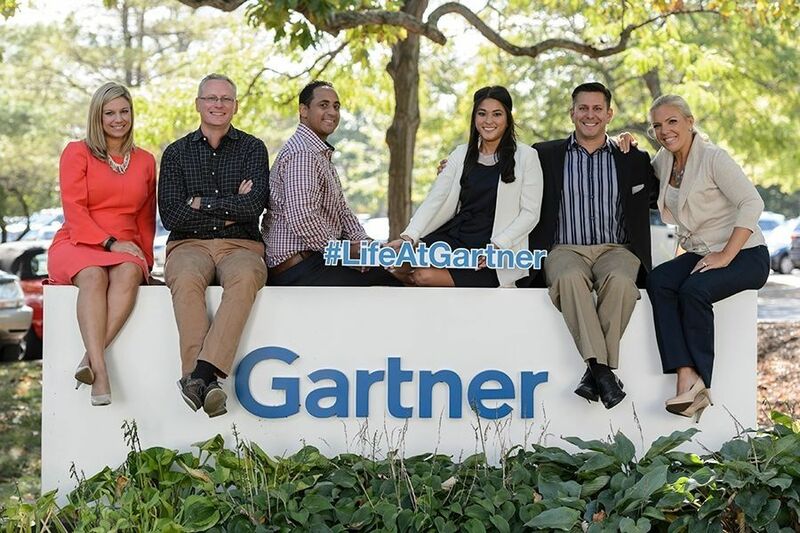 Learn more about life at Gartner on our careers blog. Located just 35 minutes outside of London, our Egham office hosts more than 1,200 associates and is a quick drive to Staines-Upon-Thames and Virginia Water. Learn more about our global offices from our associates. The newest Gartner Center of Excellence is on target to have 500 associates by the end of 2018. From festivals to theme parks to beautiful lakes, Irving is the place to be if you like the outdoors. Our Irving office is only 15 minutes from DFW International Airport and 30 minutes from Fort Worth. With more than 60 restaurants just minutes away and 10 months of beautifully warm weather, there is no shortage of things to do. Festivals, theme parks, and nature trails make Irving the place to be. Find the closest Gartner office to you. Discover how to accelerate your career with a real-world internship. Explore the business world, develop your skills and experience how Gartner drives value to our clients through practical, hands-on experience during one of our 2-month internship programs. Learn more about what it's like to work at Gartner here. Take a look at what our past interns had to say about their experience. Discover our immersive opportunities for recent graduates and graduate professionals. 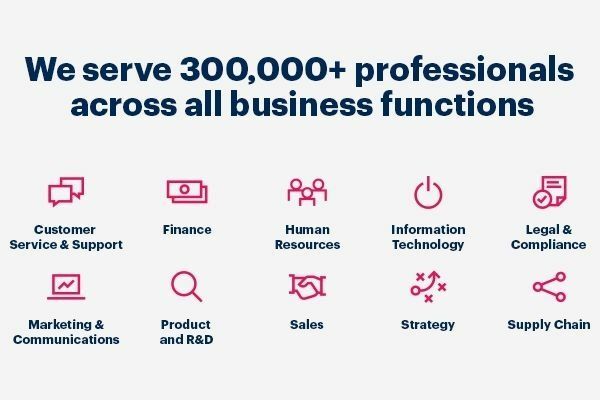 No matter what role you hold at Gartner, you’ll contribute to our growing business by helping clients address address their goals. Put your achievements to work and gain invaluable exposure as part of our winning team. We offer top graduate professionals many highly selective, elite roles across Gartner. From consulting to our rotational programs, you’ll work on high-impact, innovative projects that drive business impact and help clients address their biggest challenges. Take a behind-the-scenes look at what life at Gartner is like here. Learn more about employee growth opportunities here. Meet Dan Quach, a Boston College graduate, who first began his career with Gartner over seven years ago. Currently working in our Stamford office, Dan has experienced tremendous career growth while at Gartner. Kick-starting his career in 2011 as a Client Services Associate, he was promoted to manager in 2012 and is now a Director in our Services organization. Are you looking to propel your career forward like Dan? Join our team now! Learn more about Dan's career journey here. Search for an available services position here. Meet Anna Thomas, a graduate of Australian Catholic University and Griffith University. She first began her career with Gartner over 13 years ago and is now a Competitive Specialist on the Operations & Strategies team, working in our Amsterdam office. During her time at Gartner, she has had the opportunity to work in our offices in Australia and the Netherlands. Wondering where your career with Gartner will take you? Join us today and start your journey! Learn more about Anna's global career path here. Search for an available positions in one of our global offices here. I applied online. The process took 3+ months. I interviewed at Gartner (Egham, England). There have been quite a few interviews (5 I think) back when I applied in 2009 and the whole process must have taken a few months. Good solid interview process. Very clear at every stage of the interview process. The first interview was over the phone with an internal recruiter which must have lasted c. 30 minutes. The second stage was a face to face interview with the team manager recruiting for this role. This was conducted in person in Egham and was a very pleasant experience. The manager was very friendly and asked me a lot about my previous experience and how it can benefit Gartner's role she was recruiting for. The next stage was a phone interview with the VP of Service Delivery for the whole group. The last stage was a 2-hour panel where I was asked to prepare and deliver a presentation and answer all questions that they had in the meantime and afterwards. There were 3 senior managers present at that interview (out of 5-6 participants who were supposed to be there but could not due to holidays etc). 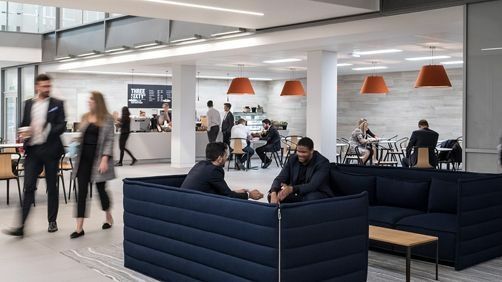 Glassdoor gives you an inside look at what it's like to work at Gartner, including salaries, reviews, office photos, and more. This is the Gartner company profile. All content is posted anonymously by employees working at Gartner.